Wellington’s central business district is fairly level and easy to navigate in a wheelchair. That said, a little planning goes a long way to having a more enjoyable time in the capital city. With that in mind here are a few resources and tips to help you map out a truly accessible Wellington visit. Getting around Wellington is easy, once you have the right resources at your fingertips. Accessible airport transfers are available through Wellington Combined Shuttles (www.combinedshuttles.co,nz), while wheelchair-accessible taxis can be booked through Wellington Combined Taxis (www.taxis.co.nz) or Hutt and City Taxis (www.huttcitytaxis.co.nz ). Although Hutt and City Taxis operate around the clock, Wellington Combined Taxis does not offer accessible services from 7:30 a.m. to 9:00 a.m., and from 2:15 p.m. to 4:00 p.m., as they transport children to and from school during those hours. If you’d prefer public transportation, 71% of the Metlink bus fleet is equipped with kneeling or lift-equipped buses. Although they can easily handle power or manual wheelchairs, scooters are not permitted on the buses. For more information on the accessible bus routes visit www.metlink.org.nz/getting-around/accessibility-guide/. 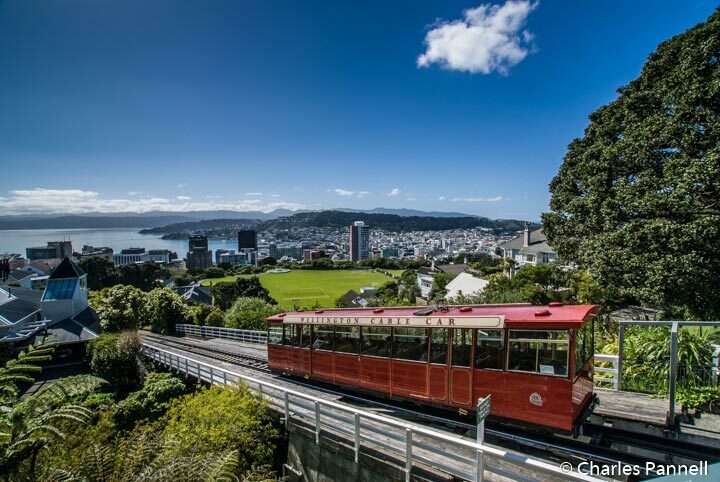 The Wellington Cable Car (www.wellingtoncablecar.co.nz) is also wheelchair-accessible. Reminiscent of the Peak Tram in Hong Kong, this hillside cable car departs from Lambton Quay and passes through three tunnels before it arrives at the upper station. There’s level access to the cable car via the top set of doors, and barrier-free access to both stations. And although foreign accessible parking placards are not valid in New Zealand, short-term accessible parking permits can be obtained by mail. Details about the application process and the required documentation can be found on the CCS Disability Action website at www.mobilityparking.org.nz. There’s no shortage of access resources in the capital city, including the very well done Wellington Accessibility Map. This detailed map indicates the location of accessible parking, attractions, public toilets, and businesses that have loaner wheelchairs. It also includes information about accessible public transportation routes and streets that are too steep to navigate in a wheelchair. The free map can be downloaded at wellington.govt.nz/~/media/maps/files/accessible-wellington-map-printout.pdf. And if you have a question about accessibility in Wellington, contact the Wellington City Council at +64 4 499 4444 and ask to speak to the Accessibility Advisor. Alternatively you can e-mail your question to info@wcc.govt.nz. Last but not least, slow walkers can take advantage of the Wellington City Council’s City Mobility Program, which offers free loaner scooters at these six locations. Scooters can be booked for up to four hours, and although there’s no charge for the service, a security deposit (such as a credit card) is required. Reservations, which can be made directly with the pick-up location, are highly recommended. Sponsored by TSB Bank and the Wellington City County Council, this innovative program provides a very accessible way to wheel around Wellington. So save your energy and reserve a scooter today.